Backpack made of crosshatch, vegan leather. Dual adjustable shoulder straps in signature striped design. 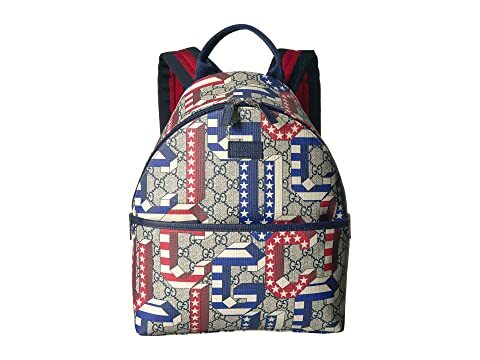 We can't currently find any similar items for the GG Supreme Backpack (Little Kids/Big Kids) by Gucci Kids. Sorry!